In commemoration of the new era and 39 years releasing anniversary of Rubik's Cube in Japan, a special designed Rubik’s Cube "congratulation! 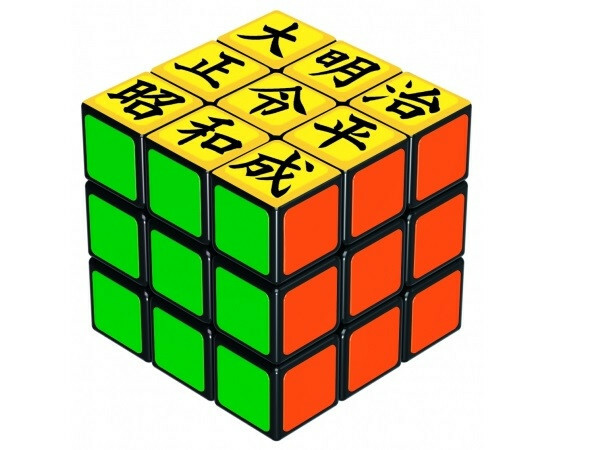 Reiwa Rubik's Cube" will be released in the web site. "Reiwa" kanji characters is printed on "congratulation! Reiwa Rubik's Cube" and you can enjoy it as an interior with the supplied pedestal as well as playing. On the yellow side, five eras of "Meiji, Taisho, Showa, Heisei, Laiwa" are lined, and it is completed by combining letters vertically and horizontally. 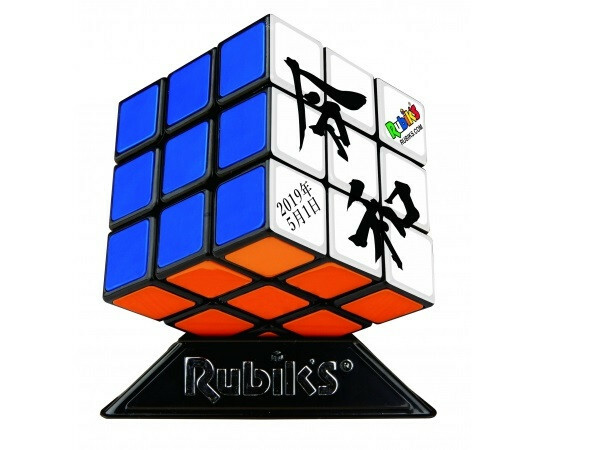 With the 39th anniversary of the release of Rubik's Cube in Japan and the appreciation of Heisei era, it is sales for 3900 yen (tax and shipping included). The order will be taken at a website "Megahouse Omocha Market" until April 30 which is the last day of Heisei. It will be shipped one by one from May of Reiwa. 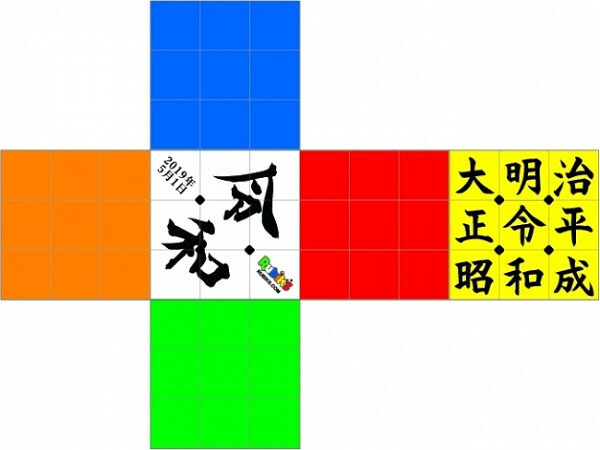 Let’s discover the fun of Rubik's Cube at Reiwa era which was created in "Showa" era!